Laknavaram lake is one of the engineering marvels of the Kakatiya kings which was built at an excellent geographical location. Laknavaram lake is situated about 6 km from Govindaraopet mandal and 80 kms from Warangal, 155 kms from Hyderabad (via NH163), Telangana. The historic Laknavaram lake is Spread over an area of 10,000 acres. A 160-metre-long hanging bridge is the special attraction. The Haritha hotel with eight-room accommodation and upcoming cottages on islands are an added attraction here. The lake was first discovered by ancient Kakatiya rulers. 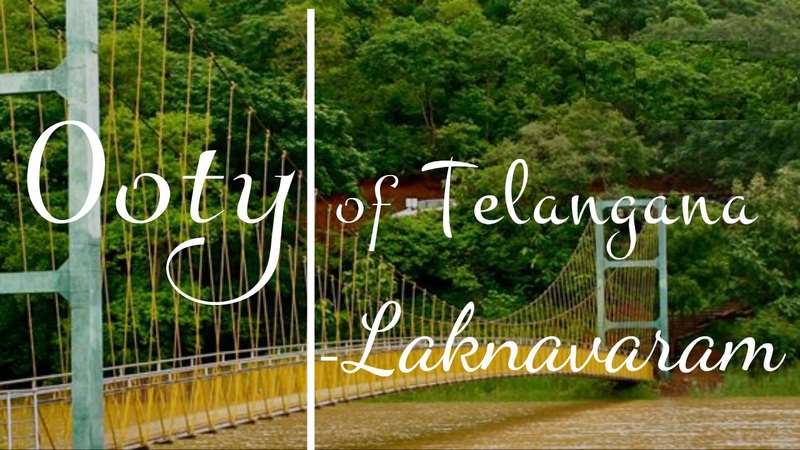 Presenting mesmerizing scenic beauty, Laknavaram Lake is undoubtedly one of the most sought after tourist attractions in Warangal. Spread over an area of 10,000 acres, this huge spread of serene water promises a perfect break, away from the chaos and pollution of cities. Surrounded by lush green forests and captivating hillocks, this lake is sure to leave you enchanted. The twisty road, with forests on both sides and the lake makes even the journey memorable. The hanging bridge and small islands that are scattered around add further to its enthralling scenic beauty. Not only scenic beauty, this lake is historically significant as well. A fine example of engineering excellence during Kakatiya Reign, Laknavaram Lake is a beautiful blend of history with nature. What make this lake even more alluring are the mini islands that are located all around it. A total of about 13 tiny pieces of land can be seen surrounded by lake water, especially during the month of monsoon. The view during morning at sunrise when the lake water shine as the rays fall through the trees is absolutely stunning. At a distance of around 75 km from Warangal Laknavaram Lake is located in the Laknavaram village in the Govindaraopet Mandal. From Hyderabad it is located around 150 km away. As it is located quite close to Ramappa Temple, which is 29 km away, both the places can be clubbed together and visited on the same day. Although this lake is ideal for visiting throughout the year, the best time to visit Laknavaram Lake is during the monsoon and winter season. During these months, many tourists plan Warangal tour and visit this lake as well. As in rainy season, the lake is filled with water and the surrounding area also sees more of freshly grown flora. The history of Laknavaram Lake goes back to Kakatiya reign. Also known as Laknavaram Cheruvu, this lake was first discovered by the Kakatiya rulers. They found a beautiful lake lying amid flourishing hills that surrounded it. It was then the rulers of Kakatiya reign built a small sluice gate that eventually transformed it into vast lake that now serve as water reservoir. Laknavaram Lake still serves as a source of irrational water for an area of around 3,500 acres of land, to six villages that are located nearby. It has the capacity to hold around 2.135 tmc ft. of water. The entry timings at the lake is from 8 AM to 5.30 PM. The entry fee at the lake is Rs. 10 per person for adults and Rs. 5 per person for children. The boating charges at Lake Laknavaram are Rs. 50 for adults and Rs. 30 for kids. Charges for speed boat of Rs. 300 for a maximum of 4 people. Laknavaram Lake is located around 6 km away from Govindaraopet Mandal which is around 75 km away from Warangal. If you are coming from Warangal, you are required to drive on NH 202 in the direction of Mulugu. After a straight drive, crossing Mulug and Jangalapalli, you need to take a right turn and drive for 7 km to reach the lake. This 7 to 8 km of drive through the stretch of refreshing greenery gives a perfect start to your relaxing visit to the lake.